As some of you may be aware at the beginning of this year I decided to get off the couch and get fit. 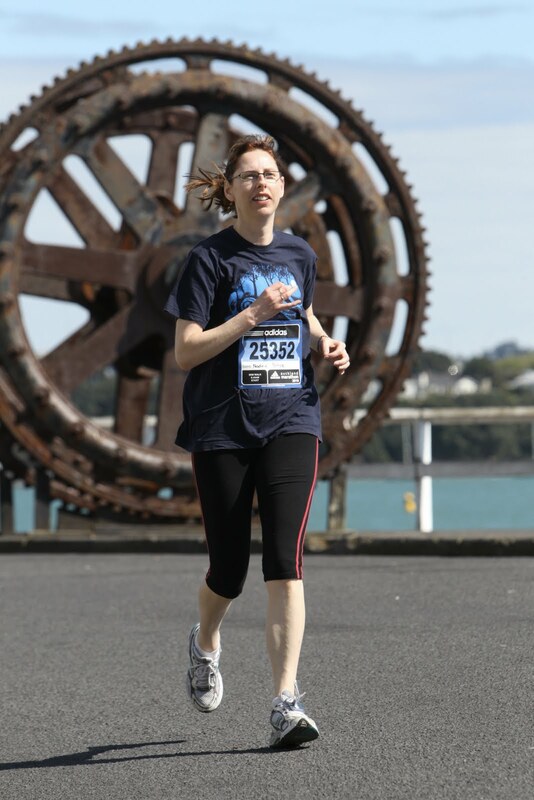 Part of my goal was to be able to run the 5 km fun run held during the Auckland marathon. When I first started running in march my PT (personal trainer) Ming asked me to run for 15 min. Well after 6 minutes I couldn't breath and had to lie down! So here I am less than 1 km to go and feeling comfortable and relaxed. I was so surprised at how easy it was. I finished 2nd in my age group and 25th out of 195 women! So now I have a new goal to run a little further. I must mention my friend Catherine who ran the whole marathon again this year! She's amazing. Helen and I thought of you throughout the day that day and sent you little cheers, hoots and hollers of support!